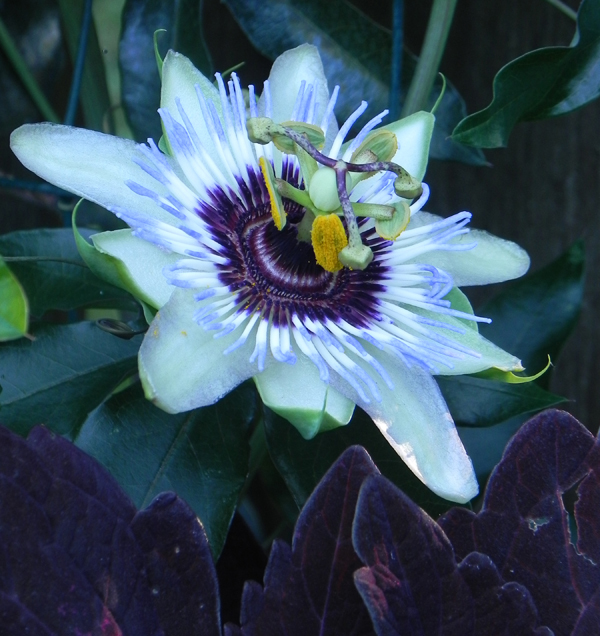 'Clear Skies' passion flower on the fence. If you planted Coleus, you're patting yourself on the back just about now. That's because blooms move very quickly through their stages when it's really, really hot. Except, of course, for many annuals. 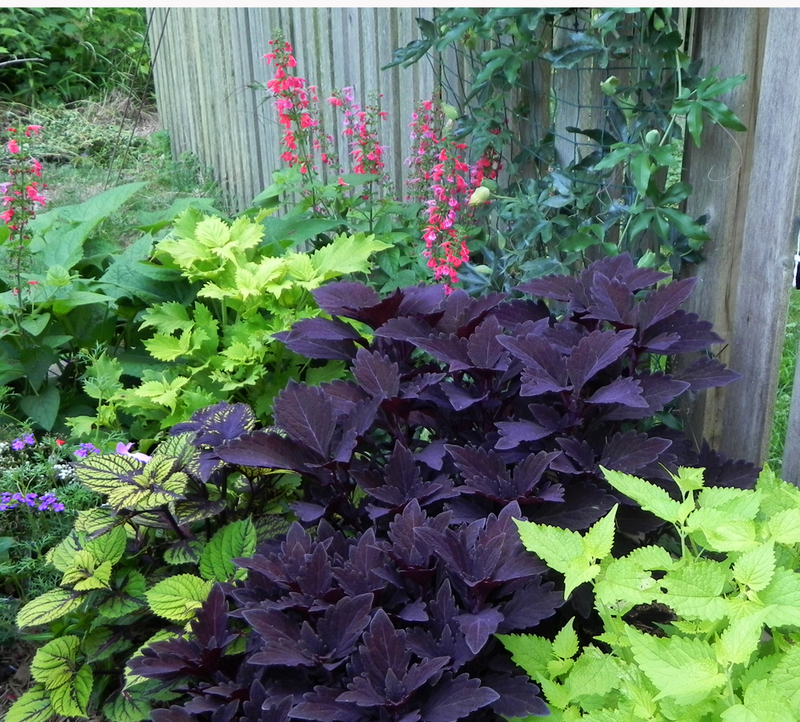 I made a combination in the new raised bed using coleus ColorBlaze Marooned, the latest from Proven Winners. PW sent me two of the plants to try, so I mixed them with another PW Coleus called 'Fishnet Stockings' and a Ball Floraplant variety called 'Wasabi'. Coleus bulks up tremendously by mid-summer, so I like to plant some in the ground. No matter where I put it, coleus performs. I even put a couple in "no man's land," a place I stay clear of after the end of June for fear of falling down in the midst of the foliage and never being heard from again. I'll probably venture over in a month or so, or as soon as I lay my hands on a scythe-like tool. Providing the backdrop for this coleus convention is Passiflora 'Clear Skies', one of the most prolific and vigorous passion vines I've grown.